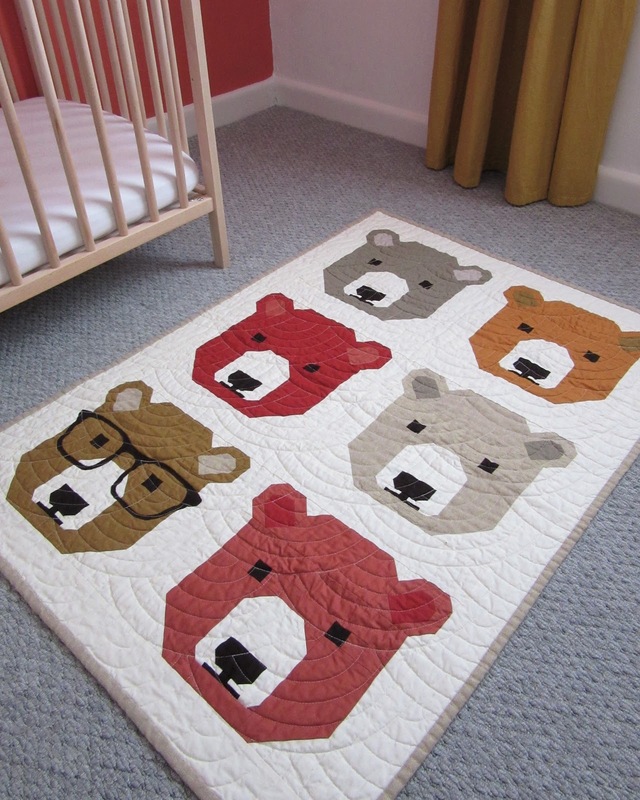 The pattern for this quilt is 'Bjorn Bear' by Elizabeth Hartman which I accessed via 'Bluprint', a crafting subscription site (formerly Craftsy), an unlimited streaming service for a monthly fee of around £5.99. 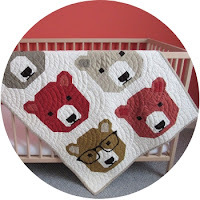 If you factor in the price of individual patterns it seems pretty reasonable, plus you have the bonus of being guided through the process by the designers themselves with step by step video tutorials. I'm proficient enough to just want a basic crib sheet for sewing but for knitting (total novice right here!) that'll be super useful. 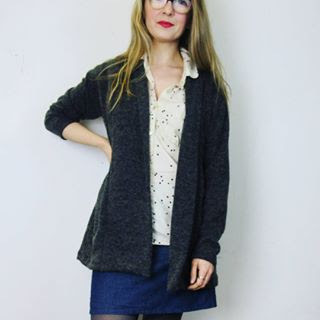 I'll be renewing my subscription ahead of starting up my next knitting project, Bristol Ivy's 'Throughstone Sweater', so I'll report back when if I ever make it to the finish line! Anyway, baby quilt! 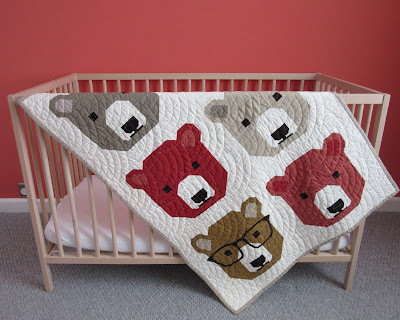 I used the block from the pattern to create a 3 x 2 version of the quilt which is a really nice play mat size, approximately the same as the one I made for Bub back before she was born which we've used just about every day! 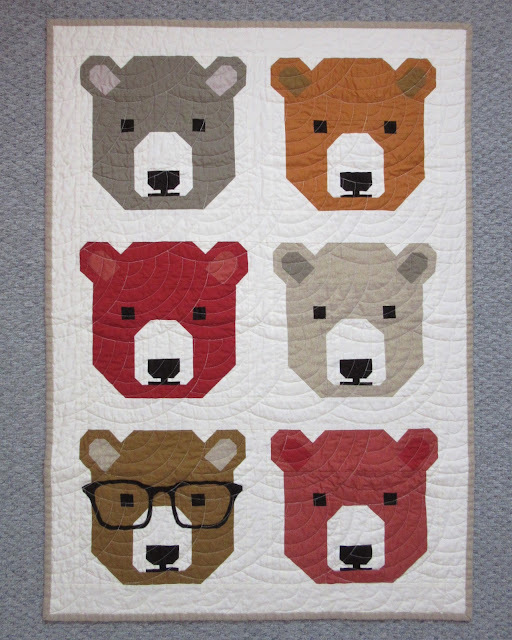 I used Kona solids Bone for the background and Gold / Sienna / Paprika / Leather / Mushroom for the bears with Espresso accents (all purchased via Wool Warehouse) and Metallic Essex linen for the gold bear and binding. 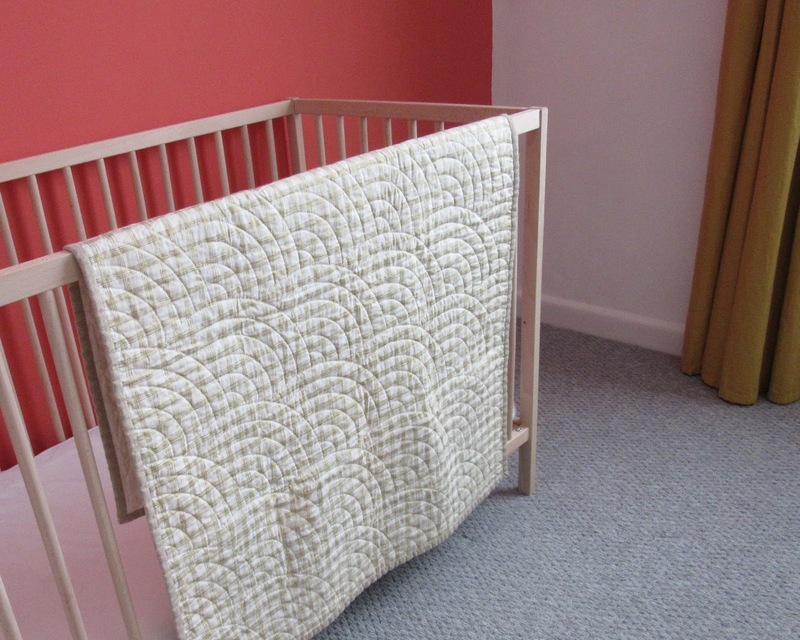 The backing is a shimmery metallic gold grid print from Kaufman's 'Sparkle' collection which, along with the Essex linen, was left over from my store closure. The construction was interesting and pretty straightforward. 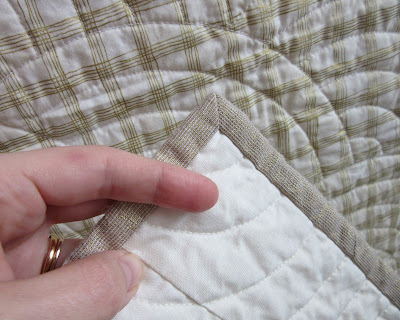 The piecing method has you assemble the triangles in square form, stitching the diagonal then cutting the excess away but whilst this may be efficient and accurate the wastage involved did pain me a little. I'm hanging onto a lot of the larger scraps and have a few small improv projects in mind to start making my way through some of them. I've tried to get an angle capturing the baptist fan quilting below. I used my 'Westalee' circles template and ruler foot again as mentioned in my previous baby quilt post. It was pretty daunting starting out with free motion, but seeing progress in mastering a new skill is so satisfying and I now find the quilting process quite meditative -striving for each pass to be better than the last, and seeing the stitch consistency improve over time. I do wish that I'd trialled a few different thread options, perhaps mono-filament for this one as the cream does show more than I'd like on the solid fabric but hey-ho! I was on a deadline. Admittedly this is not my finest work precision wise. It was completed over the course of several months in tiny increments during naps and post bedtime so is (much like myself) full of flaws but tonnes of love too. It gives me so much joy to welcome it's tiny recipient into the world! This is wonderful! I just love it! Thank you Sarah, that's really kind :) It's such a cute pattern!